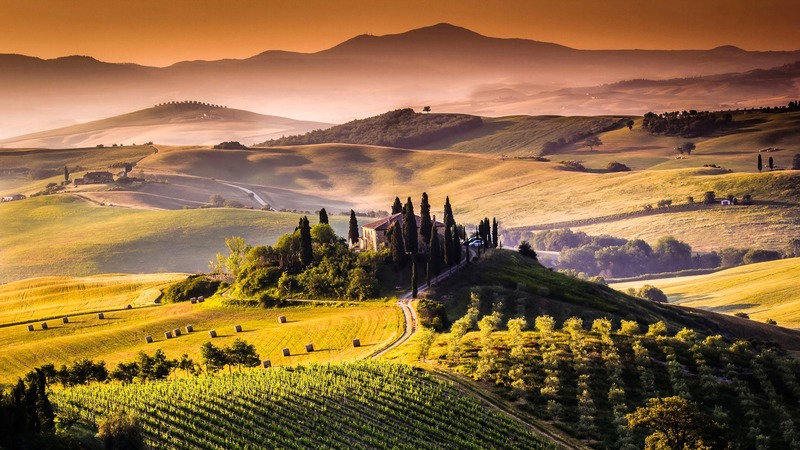 The TOP international wedding planner Wayne Gurnick discovers new venues for weddings and celebrations in Tuscany. From August 27th through September 3rd Wayne Gurnick, named one of 25 most influential wedding planners in the world, visited approximately 27 different hotels, relais, villas, and resorts in Tuscany. As he said he had learned once again that Florence and Tuscany is a place of love and a place for lovers… one of the most romantic places in the world. A place for weddings and celebrations to last a lifetime and beyond. The wedding tour was managed by Tuscany for Weddings, the wedding division of Destination Florence Convention and Visitors Bureau, dedicated to destination weddings, developed with Toscana Promozione Turistica. Affresco Events Group, Alberto Sarrantonio Photographer, Augustus Hotel & Resort, Borgo di Pietrafitta Relais, Borgo Pignano, Toscana Resort Castelfalfi., Corsini.Events Group, Dimora del Ghirlandaio,Fattoria Santo Stefano, Floralia decor, Florencetown, Galateo Ricevimenti, gettingmarriedinitaly.com, Grand Hotel Cavour,Grand Hotel Principe di Piemonte, Helvetia & Bristol Firenze – Starhotels Collezione, Hotel Brunelleschi Firenze, Hotel Palazzo Castri 1874, Le Filigare, Palazzo Borghese Ricevimenti e Banchetti, Principino, Relais & Chateaux Il Falconiere, Relais La Corte dei Papi, Sina Villa Medici Autograph Collection, Sugar &Spice, The St. Regis Florence, The Westin Excelsior Florence, Torre di Baratti – Bio Resort & Restaurant, Transfers Florence, Villa Agape, Villa il Garofalo, Villa Monsoglio, Relais Santa Croce by Baglioni Hotels. In 2016 the new company division Tuscany for Wedding (opened in 2015) managed over 40 requests between international and Italian weddings. This important result has a strong positive impact on the perception and visibility of Florence and Tuscany region in general. Operating since 1995, Destination Florence Convention & Visitors Bureau is the official partner of the Municipality of Florence as destination promoter of the city which aims to increase quantity, quality and importance of events held in the city. FCVB has been the official host partner of the 3rd edition of DWP Congress in 2016 coordinated by Tuscany for Weddings staff with its members. “Tuscany for Weddings” is the new division dedicated to destination weddings, a unique opportunity for all who wish to organize a wedding in Florence or in Tuscany and it will give you the opportunity to have the access to exclusive and unconventional venues and services for any type of wedding ceremony. Previous articleWhere in the World Do You Want to Go?